It shouldn’t be though, since it revolves around flower decoration primarily and you could simply start creating the magic by resorting to the charm of large pedestal planters and Roman column pillars at the entrance using them as flower stands for flower displays of your choice. They are stylish, elegant, and would fill up the venue ambiance with luxury without costing you much. Also, think about implementing existing backyard features into the décor. For example, if you already have a pergola, why not incorporate it for further elegance that would match up the large pedestal planters and pillars. It’s the perfect spot to use some of the indoor elegance, such as chandeliers to spice up the area along with delicate linen or hang sheer curtains for sophistication. If you don’t have a pergola, then the answer would be to rent a wedding tent. Sure, you could just carry on without one but it’s better to have a roof over your head so unpredictable showers don’t disrupt your celebration. Now, more about the charm of chic linen, don’t stop decorating with it since it makes the ideal addition for tables as well; they can always do the trick to uplift the style. Perhaps you’d like to add rustic flair, which could be rustic tables, so you wouldn’t have to cover them up entirely but use their weathered charm as part of the décor instead. Where there are rustic tables, there are rustic chairs to match up and they too allow you to use the delicate magic of linen either by covering them up entirely, or just decorating with ribbons. Don’t be afraid to use what you have in the backyard in terms of plants as part of the décor too. After all, you’re surrounded by it! For instance, fallen tree leaves make a great marking of the pathway, and can even be used as DIY table numbering; think gold calligraphy! 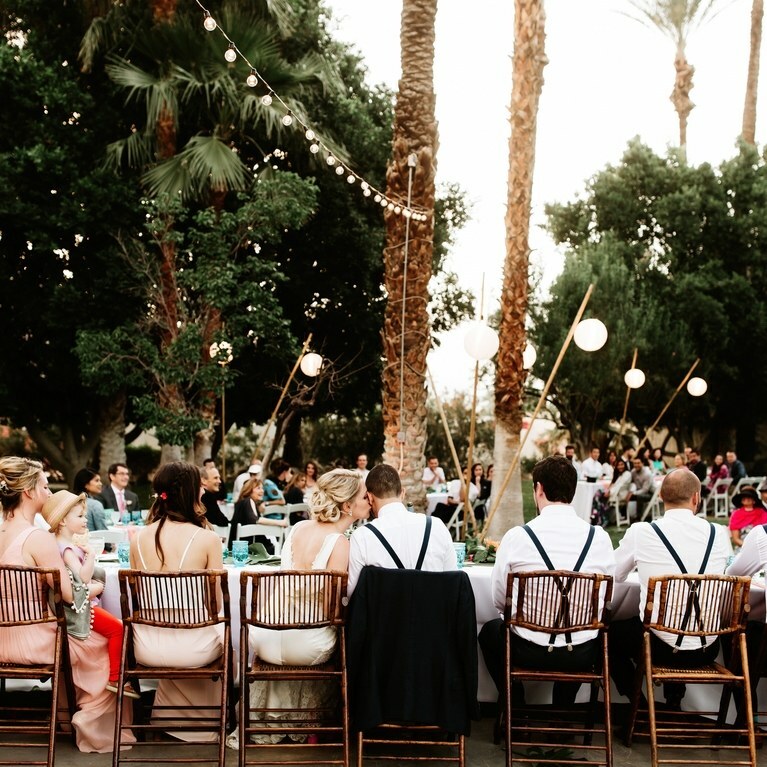 Backyard wedding can be anything but ordinary, with little effort and that’s the best part of it.